I’ll be honest – life kind of got away from me in May and I didn’t blog nearly as much as I’d planned. In January, I set some goals for the year and they included having blog posts written and scheduled two weeks’ ahead for this exact reason – so that when life gets crazy there is still content going out on the blog…and that has so not happened. For those of you waiting for new posts, I apologize. For those of you who were awesome and came to the blog despite there being no new posts, thank you! Why did my May get crazy? For a few reasons. I signed up for a fitness boot camp class (crazy, right?) and it is on Monday nights which is usually my blogging night. It’s been good for me, although also suuuper tiring. 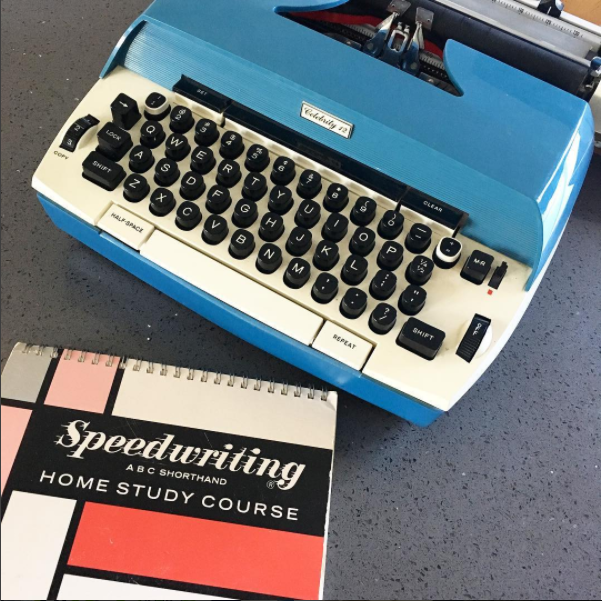 I also signed up for a Start Fiction Editing class, which has taken up a big chunk of my usual blogging time on other evenings and on Saturdays. But it’s also been lots of fun, I’m learning a lot, and will hopefully get my fiction editing business of the ground soon (so if you’re a writer and looking for a copy editor or a manuscript evaluation, please keep me in mind!). Oh, and garage sales have started popping up and I love looking through them for books (especially adorable kids books!) and other neat things (like my new typewriter!). What was in my May 2017 book haul? A stack of adorable children’s books including some Berenstain Bears, Dr. Seuss, Curious George, and Usborne touchy-feel books. Hooray for garage sales! Now whose kids want to come over to read? I’m also part-way through My Lady Jane and The Book of Speculation. At the end of May, I’ve read 37 books in 2017 . That puts me 49% of the way to my goal of 75 books in 2017. Reviews of some of the books I read in May are coming soon, I promise. Until then, take a look at what you might have missed last month. I reviewed the highly anticipated A Court of Wings and Ruin by Sarah J. Maas and a really funny play called Punch Up written by Kat Sandler. Top Ten Tuesday is also fun. Like this Mother’s Day post about the best moms in books and this post about the books I’m most excited to read in the second half of 2017. Read-a-thons are so much fun! Especially Bout of Books, because it is really chill. I signed up with my TBR, I updated you my reading progress, and I wrapped up my time in Bout of Books 19. I participated in WWW Wednesday on May 10 too.